The News received a few more calls of complaints after we published an article concerning the railroad crossing south of Wadena. Damage to the suspension on semis and even a dislodged fuel pump that pumped gas out onto the road were just some of those complaints. 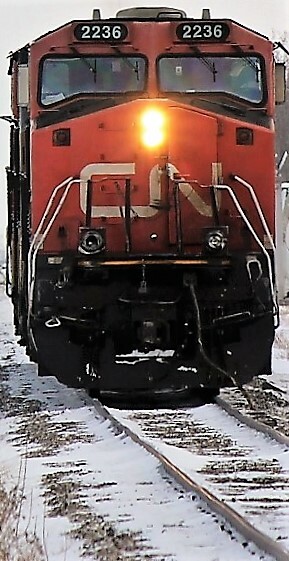 The News received a reply from CN Rail after contacting them over these complaints. “The maintenance of crossings is generally done in collaboration with the local road authority. We will contact the town of Wadena to offer our collaboration on this matter; citizens who have claims involving CN can contact our public inquiry line at 1.888.888.5909 or email contact@cn.ca. Our claims department will duly investigate all claims requests,” said a CN Rail representative. This is good news! Even better for those who have had to pay for repairs. If you make a claim, let us know how it goes. 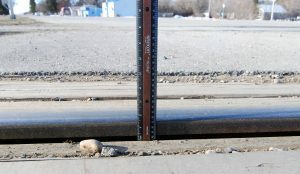 The rough rail crossing south of Wadena has caused a rash of complaints due to damage done to vehicles crossing it.